Need the best Manalapan Dentist in NJ? If you are looking for the best dentist in New Jersey and the wider Manalapan Area, Dr. Alexander Milman of A&M Dental Arts is here to help. With one of New Jersey’s most experienced dentists, and after many years of earning the trust of hundreds of clients through the personalized care we offer and the quality of the dental services that we provide. We are just as happy to serve those in need of Invisalign (invisible braces) as we are to offer emergency dental relief. You’re also guaranteed to be served by a dental professional with the experience and ability to take on everything from crowns, bridgework, anti-dental devices and more! Need to correct your teeth but don’t want to wear braces? 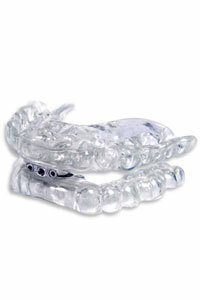 Invisalign is a near-invisible aligners which are custom designed to your teeth. They are comfortable, easy to remove and the most popular choice for people wishing to restore their smile again. Click here to learn more about Invisalign. 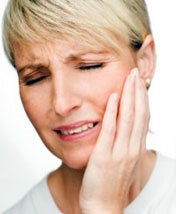 If you need immediate pain relief after suffering from an accident, A&M Dental can help! With more than 25 years experience in emergency dental, we can provide instant assistance when you need it most. Click here to learn more about our Emergency Dental Care Service. Don’t be one of the 90 million americans currently suffering from snoring. Reduce the risk of high blood pressure and sleep apnea by using an Anti-Snoring Device – proven to cure the dibilitating effects of snoring. Click here to find out more about Anti-Snoring Devices. Whether you’ve suffered tooth and gum damage from an accident or disease, dental implants are a sound alternative for people wishing to restore the smile they used to have. This is a common service provided by Dr. Milman. Find out more about Dental Implants. to speak with Dr. Milman and his staff TODAY!